Like vast majority of our customers, ICT is probably not your core business. Trying to solve all your ICT challenges internally can become a major distraction that could lead to other aspects of your business suffering. More often than not these challenges end up costing way in excess of your initial expectations. 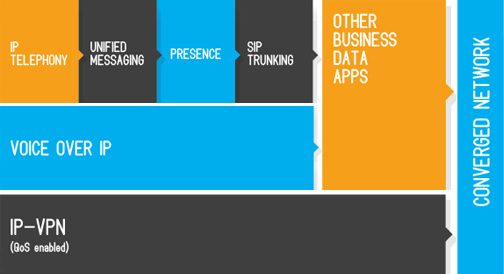 Gateway has been helping organisations that have an existing voice network managed separately from their data network. In many cases, the legacy voice infrastructure is dated and difficult to manage, with multiple vendors and extension additions over years. This gives rise to a heterogeneous network with many different PBX and key systems, resulting in high management and maintenance costs. Hence, more organisations are taking the first convergence step to implement an IP telephony system (IP PBX), moving onto other applications such as unified messaging and WAN Optimisation. Gateway is well accomplished in design and implementation of this advancement in networking and application technology, leading enterprises down a converged network designed to enhance business application delivery and improve access to information and collaboration. As the leader of a dynamic mid-market business, you’ll know that the agility of your business depends increasingly on the technology that supports it in times of growth or change. The most innovative businesses in the market are realising the value of ICT as a transformational business tool and building its potential into their core business strategy. If you want to fully embrace the benefits of strategic ICT thinking but you lack the personal experience, in-house expertise or resource to tackle it yourself, Gateway can provide an affordable strategic partnership that arms you with the insight you need to really embrace IT thinking and your true business potential. Our Enterprise Solutions Architects work with you on an executive level to shape your vision with the possibilities offered by the most progressive – yet entirely suitable – technology in the marketplace. We bring the objective insight, business experience and technical expertise required for crucial strategic planning. Together, we can realise your business’s potential with technologies that mean maximum efficiency, productivity, and scalability; drastically reduced risk; deep-level agility in an uncertain marketplace and all the benefits of an innovative, collaborative working culture. Gateway’s ICT Strategy Services deliver planning and strategy to ensure efficient ICT development within your organisation to meet forecast growth or change. Our recommendations encompass the whole spectrum of ICT from the development of initial strategies and plans through to technical implementation, on- going management and maintenance to end-user training. As a tier–one ICT solution provider, Gateway is certified to design, install and maintain solutions from world’s leading technology companies. Our partner certifications and accreditations include but not limited to those from Microsoft, HP, Dell, Cisco, Merikai, Juniper, Sonicwall, Mitel, Polycomm, Citrix, VMware, Trend Micro, Riverbed and Telstra Enterprise ICT Partnership. 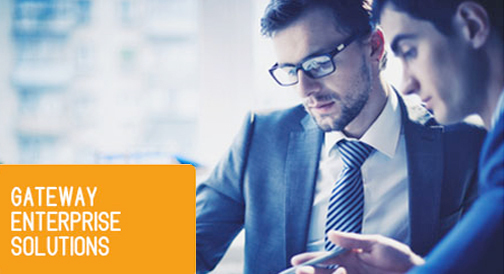 We work closely with our technology partners to ensure that a solution is matched to your organisation’s requirements.